Everything you need to know before going to study in Canada – education system, visa requirement and process, Indians living in Canada, post-study options and more. 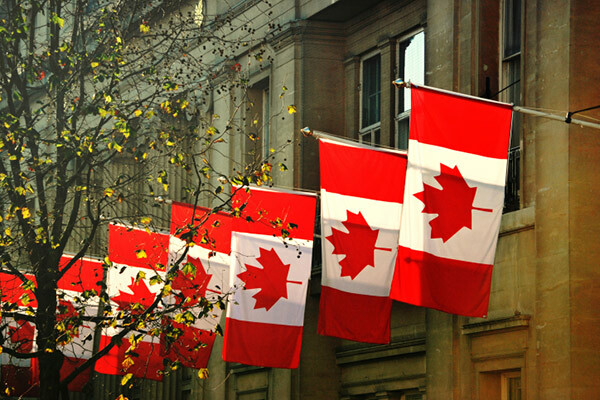 Canada is the largest country in North America and consists of 10 provinces and 3 territories. It is located in the northern part of the continent, and the capital of Canada is Ottawa. It is the second largest country in the world territory-wise. It is a popular destination for vocational and diploma courses. The school systems in Canada are different from each other, depending on the province or territory. Education is available in both English and in French in most places, provided there are enough students in that area speaking the secondary language. High school is typically till grades nine to 12. In Québec, high school ends in grade eleven and is followed by a program that prepares the student for university or a technical field called CEGEP. Beyond this, students can attend either vocational schools or enter a university. At a university they will first earn a Bachelor’s degree, and can continue studies to receive a Master’s or a Doctorate degree. Vocational students will earn certificates and diplomas that will help improve their skills in the various trades. Universities like McGill University, The University of British Columbia, University of Alberta and Simon Fraser University are popular choices if you want to pursue a full time academic degree. 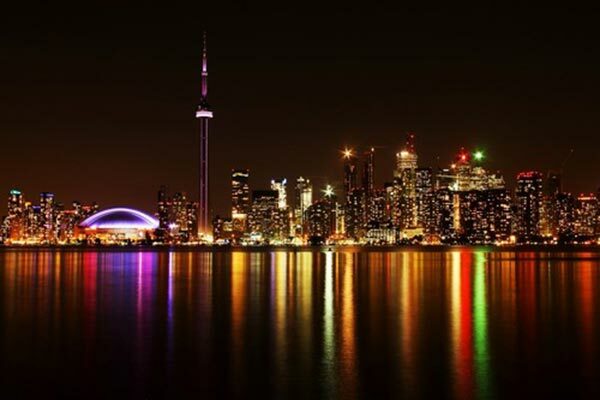 Most of the best colleges in the country are situated in cities like Toronto, British Columbia, Montreal. The number of Canadian student visas issued to Indian students jumped to more than 12,000 in 2010, from 3,152 in 2008. Canada is the preferred destination for vocational studies rather than degree courses as the former seem to provide more employment opportunities. Canada is a good choice for immigration as the country offers immense scope for work owing to its low population density. The most popular higher study courses in Canada would be postgraduate diplomas in areas like Business Management, Media, Engineering, Computer Science and Hospitality. Canada is one of the safest countries, with one of the highest standards of living in the world. Canada is a free country where people are, by and large, judged on their actions and character, rather than their appearance or country of origin. Montreal Weather – The weather here in winter is cold and snowy. The cold in Montreal can be especially biting because of the wind-chill factor. Snowfall usually begins in November and continues through March. During winter months, the daytime temperatures are between -6°C to -15°C. Summer temperatures range from 15°C to 25°C. Toronto Weather – The weather here in winter is milder than most Canadian cities, yet still cold and snowy. Summer temperatures range from 15°C to 25°C. During winter months, the daytime temperatures are between -10°C to 12°C. Vancouver Weather – It remains wet, yet mild throughout the year. Summer in Vancouver is pleasantly warm with an average temperature of 22°C. Winters are wet, but snow is rare. Average daily temperatures in winters range from 3°C to 7°C. You may not understand the local accent right away. Regional accents vary greatly in Canada. Give yourself time to get used to the local accent. Canadians might not understand you right away. You will also have your own accent. Speak slowly and don’t be shy about asking others to speak slowly if you are having a hard time understanding them. Canadians use a lot of slang in their speech and it might take you some time before you understand all of it. Humour is an integral part of Canadian English. This should be interpreted as a sign of friendliness, not disrespect. Canadians use lots of abbreviation in their speech (for example, TA for Teachers Assistant or Poli Sci for Political Science). If you don’t understand something, simply ask the meaning of it. Participation: It is necessary to participate in all activities during your classes. You may be asked to participate in class discussions, group work or other activities. It is very important to participate outside of the classroom as well. This will provide you with many opportunities to practice your English skills in many different settings. Making friends: Try not to be shy. Remember that making friends is important to everyone in their first year of university. Saying “please” and “thank you” are important Canadian customs, and your relationships will improve if you express your gratitude and appreciation to those around you. Wherever you choose to live, you should make sure that you know your contractual rights and responsibilities. In most cases you will be asked to enter into a tenancy agreement, which you should read thoroughly before you sign it. Orientation week is mandatory for international students so you want to be sure and arrive before it starts. This is the time where you will be introduced to the university and its services, as well as enroll in your classes. It is essential that you read your guidebook, which is provided by the college. The guide explains each part of the admission process. Along with sports, colleges offer extra-curricular activities that provide students a wide range of experiences. Music, drama, science and literary societies in colleges offer opportunities for outdoor education and other leisure activities. Visits to theatres and concerts, and to places relevant to the courses of study such as art galleries and museums, religious centres or historical sites, scientific companies and projects are all part of college life. Most Canadian colleges accept online applications. You will have to visit each college’s website to apply. In most cases, you will have to make an account on the college website to provide your basic information, submit the scanned version of your documents, and pay application fees. You will be informed about the application process and stages through this account. Please refer to the website of the colleges of your choice to know the process of applying as it may differ from institute to institute. The session starts mainly in September and January but some institutions have intakes in May, July and October as well. The Major intake season for the top courses in Canada is September, while the minor intake season is January, which is meant for a fairly small number of courses. You should start your admission process around six months before the application deadline. Typically most universities have three deadlines, from October to January. It is up to the convenience of the students, which deadline to aim for. You should be done with your language and aptitude tests by three months before the deadline. The last three months should be dedicated to filling out the application form properly. The main intake season for top colleges and courses is the fall season i.e. September. It depends on what course you are looking to pursue, because many courses don’t have the January intakes. The International English Language Testing System (IELTS), Test of English as a Foreign Language (TOEFL) and Pearson Test of English (PTE) are all standardised language tests, which are required to be taken for the purpose of getting admission into colleges. These follow different formats, structure and result bands. These tests are all different in various ways but many colleges ask for any one of the results. So it’s up to the student to decide which exam to appear for. Repetition of exams: IELTS can be taken unlimited number of times. TOEFL can be retaken as many times as desired, but cannot be taken more than once in a 12-day period. Same holds true for PTE; it can be taken as many times as one wishes to. You must wait to receive your scores before you can book your next test. Time to apply: Ideally, if you are aiming at the September intake you should appear for these exams by November, so that you can apply before the 1st deadline. The universities you will be applying to will mention which exam results they will accept. But if they give a choice to go for either of these, then the choice depends on you. The time required to prepare for IELTS/TOEFL/PTE would depend on the existing English language proficiency. You may require 2 to 4 months of preparation before the exam date. GRE – The Graduate Record Examination is another test required to be taken by students applying to graduate schools to pursue MA or MS. Increasingly, many business schools are also accepting GRE scores for the purpose to granting admission for MBA. LSAT – The Law School Admission Test is a standardised test and is an integral part of the law school admission process. It provides a measure of reading and verbal reasoning skills that law schools can use in assessing applicants. SAT – The Scholastic Assessment Test measures literacy and writing skills that are needed for academic success in college. This test assesses how well the test takers analyse and solve problems — skills they learnt in school that they will need in college. SAT is typically taken by high school students to get into undergraduate courses. Repetition and Fee: You can give GMAT unlimited number of times, subject to five times a year and a gap of 30 days between two tests. You can take these tests with a gap of 30 days from the first time. The cost of GMAT is Rs 16,000, GRE is Rs 12,000 and LSAT is Rs 3,800. Ideally, if you are aiming at the September intake you should appear for these exams by November, so that you can apply before the 1st deadline. The preparatory duration generally ranges from 4 to 6 months. Average Scores: The average GMAT score accepted across universities is 540. Average GRE score is 151 for Verbal, 146 for Quantitative and 3.5 for Writing. Average LSAT score accepted across universities is 162. The tuition fee varies according to different universities, courses and the city. The tuition expenses in Canada might be up to CDN $10,000 – $30,000 per year for an under graduate course. And if you are thinking of applying to a post graduate course, the cost would be $15,000 – $55,000 per year approximately. Insurance Policy for international students is mandatory, as students have to stay abroad for a long period of time. Before getting an insurance policy make sure that it covers medical expenses, personal accident, dental treatment, study interruption, passport loss etc. Insurance is basically cashless so a student does not need to pay money at the time of hospitalisation. Merit and need-based fee waivers are awarded to international students. Candidate with strong academics, good performance in standardised exams and extracurricular achievements would be eligible for scholarship awards and financial assistance. To benefit from these opportunities, one has to make sure to send all the required documents by particular deadlines. In addition to this, the presentation of the application is also important because one is judged by the image one projects. Read and download our Guide to Student Loans to understand the details better. You should apply for the student visa after you get the college acceptance letter. 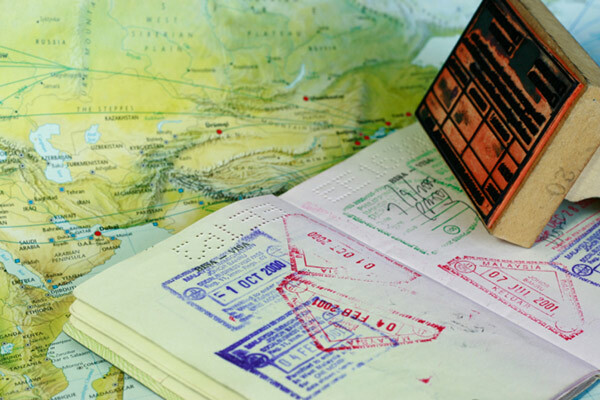 You should begin with the visa process around June, if aiming at the September intake. Following are the documents needed to apply. Proof of acceptance: If you plan to attend any school (primary or secondary), college, university or other educational institution in Canada, the school must complete and send you a letter of acceptance. You must include the original letter with your study permit application. Proof of financial support: You must prove that you can support yourself and the family members who accompany you while you are in Canada. Note: Additional documentation may be required. Check the processing times: The visa application cycle might take anywhere from 3-4 weeks. It is advisable to go through the Canadian consulate website to know the approximate time taken to process the student visa. Please note that the time shown is not a guarantee and is just an estimate. To apply online you must have access to a scanner or camera to create electronic copies of your documents for uploading and have a valid credit card for payment. You will still be required to provide a finger scan at the regional Visa Application Centre (VAC). Pay the processing fee: Refer to the fee schedule for the cost to apply for a study permit and how to pay. The processing fee is non-refundable in all cases. For biometrics, there will be more than 130 VACs in over 90 countries and all VACs will be equipped to collect biometric information (fingerprints and photograph). Indian students need to contact the local VFS office to apply for the visa. Submit your application and supporting documents – Since you need to give your biometrics, you can’t mail in your application. You’ll either have to apply online or submit your application in person at a VFS office. In either case, you will need to go to a VAC to give your biometrics. The visa application process to Canada requires a compulsory medical test for Indian applicants. Your own doctor cannot perform the medical exam. You must see a doctor on the list of panel physicians, which is provided on the official Canada immigration website http://www.cic.gc.ca/. Once your exam has been completed, the physician will send the results to CIC. You can choose to get the test done either before or after submitting the visa application. You should have pursued a full-time course in Canada. You should apply for work permit within three months (90 days) after receiving official letter saying that you have successfully completed your education from the institute. You will be given the work permit only if you have a student visa. You cannot get a work permit longer than your course duration. If your course duration was eight months, then you will receive work permit for eight months. If your course duration was more than two years, then you may receive work permit for three years. Working while studying in Canada Easy or Difficult? Spouses can accompany full time students on a Dependent visa. You only need to show that adequate funds are available for their support. Spouses can also work full time if his/her stay is for a year or more. Homesickness is a predictable problem faced by most students at one point or another. It may occur at the beginning or even well into your year. Homesickness will pass. Be patient. Give it at least two weeks. If you are feeling sad, talk about it and share your feelings with your friends. Do not hide in your room; if you do, the homesickness will only worsen. Find your counselor on staff with whom you can talk about homesickness or other problems. Explore campus to familiarize yourself with where you need to go when registering for your program, attending classes, getting your meals and visiting new friends. Join the International Student Club. Find out what learning resources and workshops are available for international students. Take advantage of the student services on offer: use the fitness facilities at the recreation centre, find the student bookstore and browse in the library. Cooking for yourself will save you money. Indian food is expensive in Canada. Making it on your own will satisfy your urge to eat ‘your food’ during moments of ‘homesickness’. Indian spices are not commonly available in smaller cities, but you may find shops on campus where you can get ingredients used in most Indian cuisine. The PGWPP allows post-graduate students who have studied at a participating Canadian university/college to gain Canadian work experience. Work experience gained through the PGWPP will ultimately help students qualify for permanent residence in Canada through the Canadian Experience Class (CEC). Duration – A post-graduation work permit can’t be valid for longer than the student’s course of study. For example if your post-graduate course was of two years’ duration, then the work permit granted to you will also be of two years. The study program must be a minimum of eight months in length. 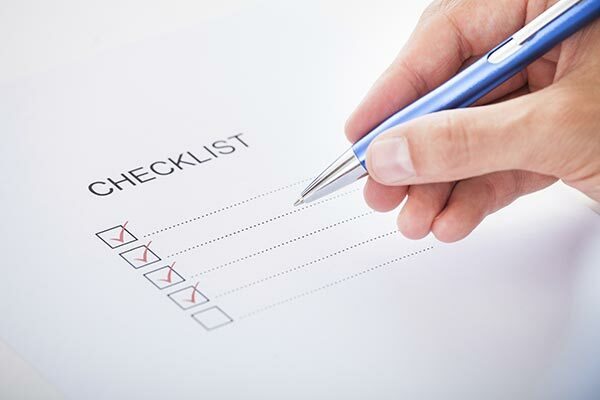 You must apply for work permit within 90 days of receiving written confirmation from your university/college indicating that you have completed and passed your academic program. 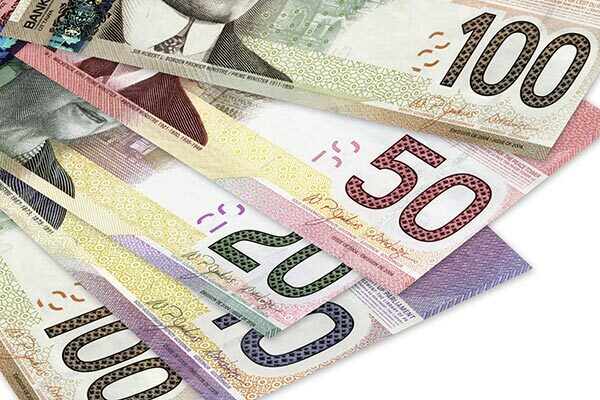 You must pay the Open Work Permit Holder fee and the Standard Work Permit fee in Canadian currency, either online or manually. Indian students are used to the concept of campus placements and on-campus recruitment for getting jobs. There is no concept of placements Canada. Most Canadian universities have a cell called a Career Services Center, which helps you get jobs and helps you prepare for interviews. The on-campus recruitment is always driven by student interest. Companies that recruit through the university do not offer a job directly. What they offer is an internship or co-op. Companies like to see your work for a few months before they hire you full time. In a Cooperative program, period of study alternates with work. The Student Co-op program is a formally structured program where the intent is to recruit students, while still in school, to fill permanent positions upon graduation. Co-op programs are generally undertaken at colleges and universities. Indian students who wish to participate in a co-op or internship program must apply for a work permit as well as a study permit.